Today was a memorable day for Farsley Farfield Primary School. 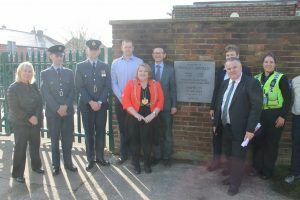 We were delighted to be the host school for the national Remember RAF100 launch event. 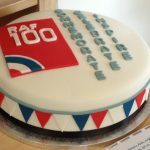 Sunday 1st April, 2018 is the 100th anniversary of the formation of the Royal Airforce (RAF). 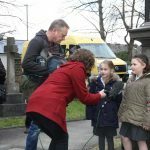 Through contacts made during our research into the Farsley Airfield, we were chosen to take part in this very special event. 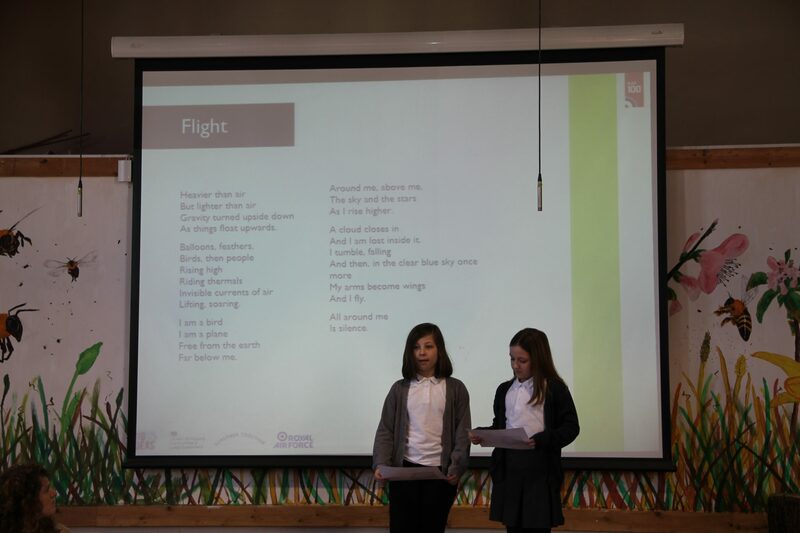 Working with a wonderful team from Big Ideas, an organisation that develops projects for schools and community groups, children from 6H and 2LO spent the morning working together to learn about the RAF and remembrance. 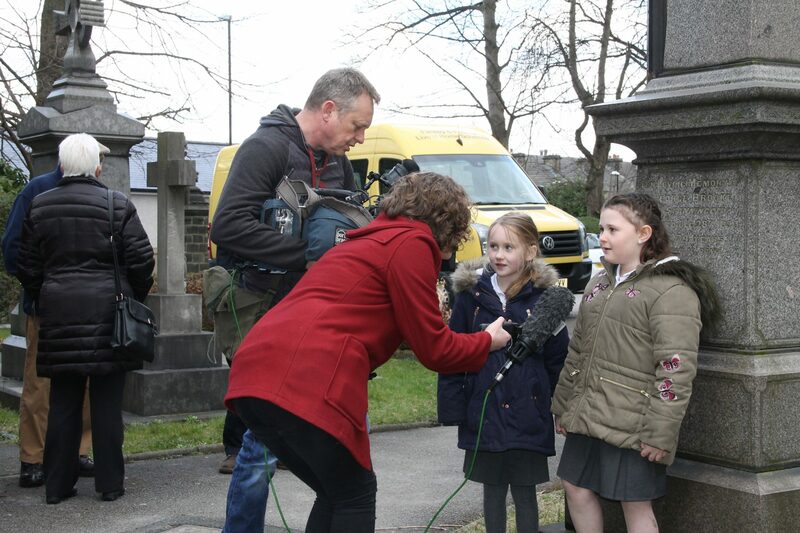 One of the aims of the project was to bring more acts of remembrance and learning about war into Key Stage One. 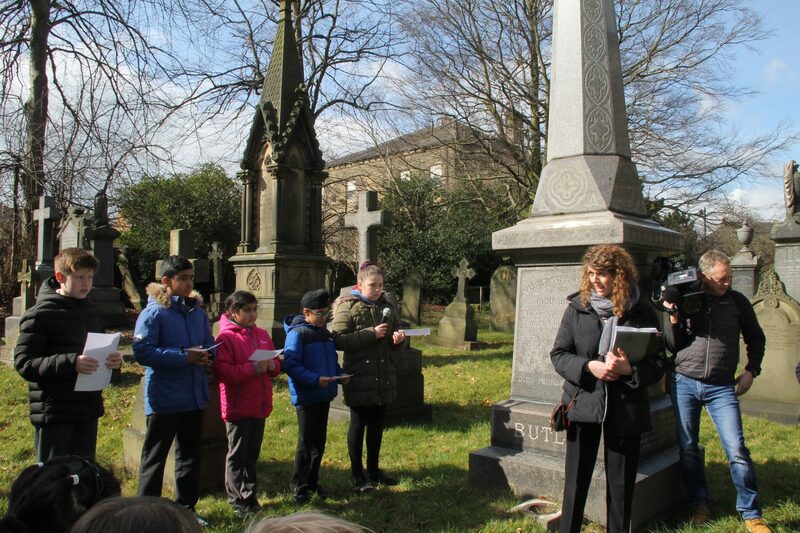 The Year 6 children, who were already “experts” on the First World War and the Farsley Airfield, partnered with the Year 2 children to share their knowledge and support the learning of the younger children. 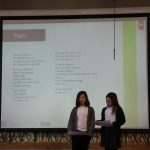 It was fantastic to see such great teamwork between the children. 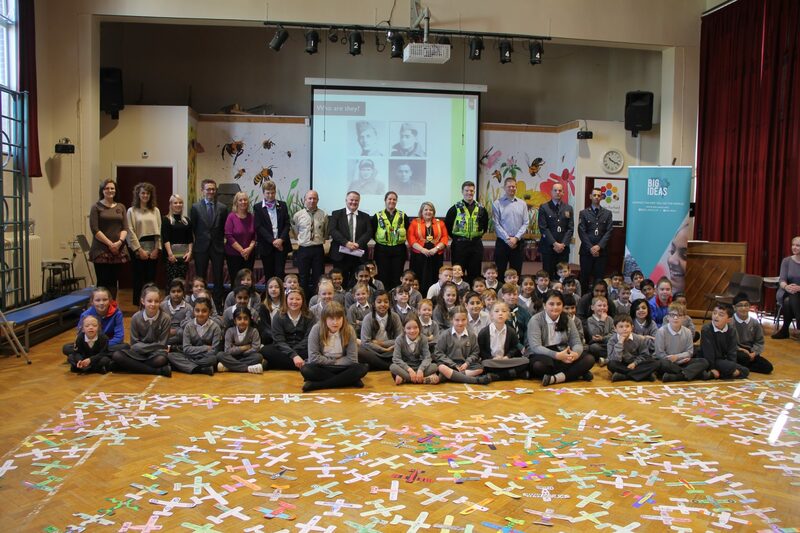 This was the launch of a national project for schools across the UK. The activities we did today are all detailed in a teachers’ guide that will be used in a wide variety of schools. 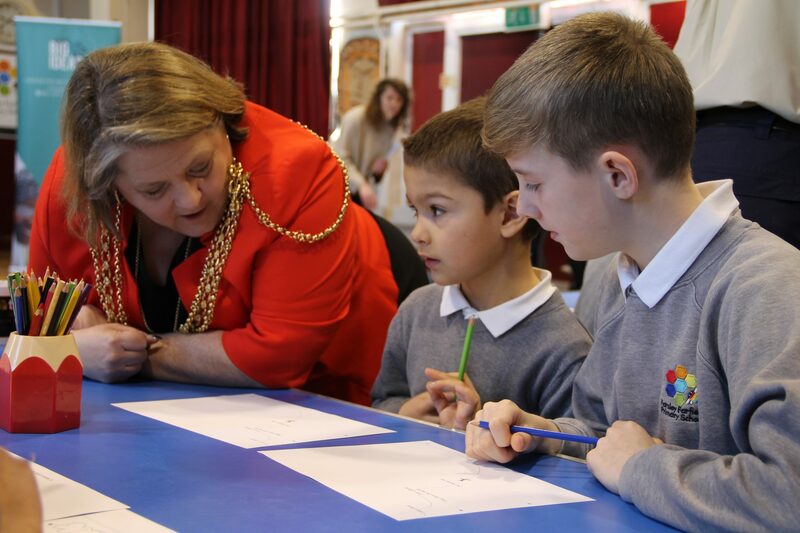 Many special guests were invited to join us for the morning including: the Lord Mayor of Leeds, Cllr Jane Dowson; two members of the RAF who work locally with air cadets; a former RAF navigator; County Commissioners for the Girl Guides and the Scouts; local police officers; local historians; members of Friends of St John’s Church; representatives from the British Council and the Pudsey Civic Society; a representative of the Leeds Industrial Museum; and our chair of governors. 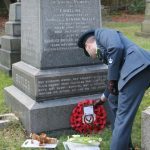 The Remember RAF100 project also involves an art installation. 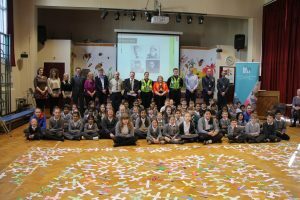 Every child at Farsley Farfield created an aeroplane with the name of a serviceman or woman from the RAF who lost their life during the First World War. In total, there were 4805 individuals. Farfield created planes for 440 of them. These planes were spread out on our hall floor so everyone could walk around them and reflect on the names. The RAF team have taken the planes away with them and they will be the start of the national art installation which will be unveiled in a yet undisclosed location in the next year. 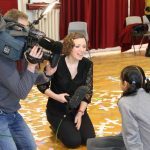 The day started with a number of activities in our school hall. 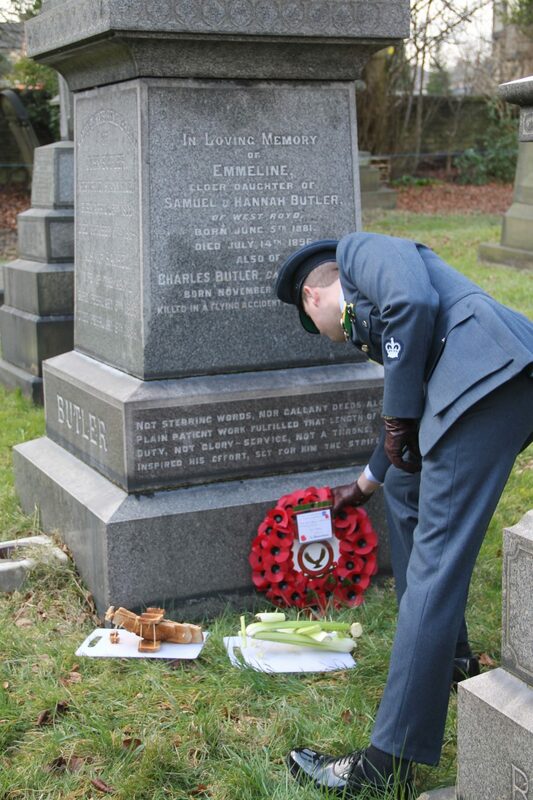 Later in the morning, the Year 2 children, some of our Year 6 children and one Reception child walked with the special guests to St John’s Church in Farsley to visit the grave of Captain Charles Butler, an RAF pilot from Farsley who lost his life in the First World War. 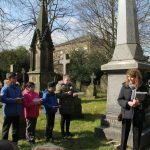 We participated in a short service of remembrance where children read a biography of Captain Butler, recited poetry, listened to The Last Post and had a minute of silence to remember all the pilots who served in the war. 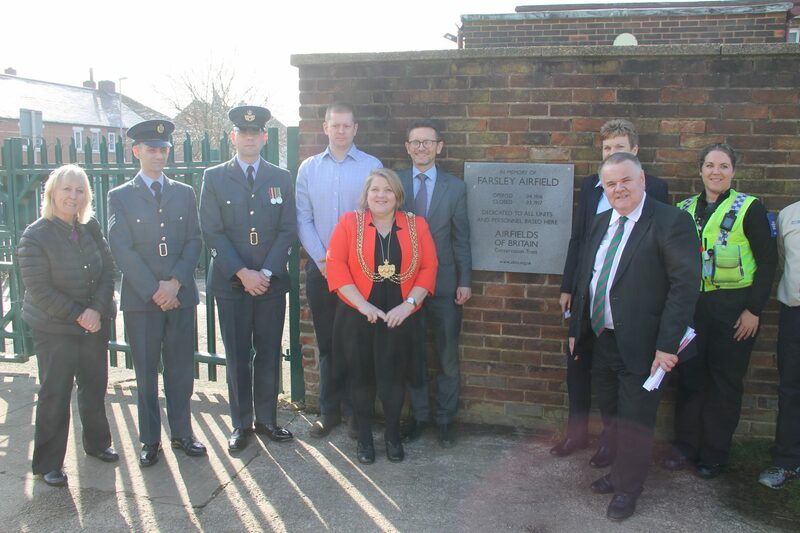 Following the service of remembrance, the special guests came back to school for refreshments and an opportunity for the adults to talk about all that had gone on. 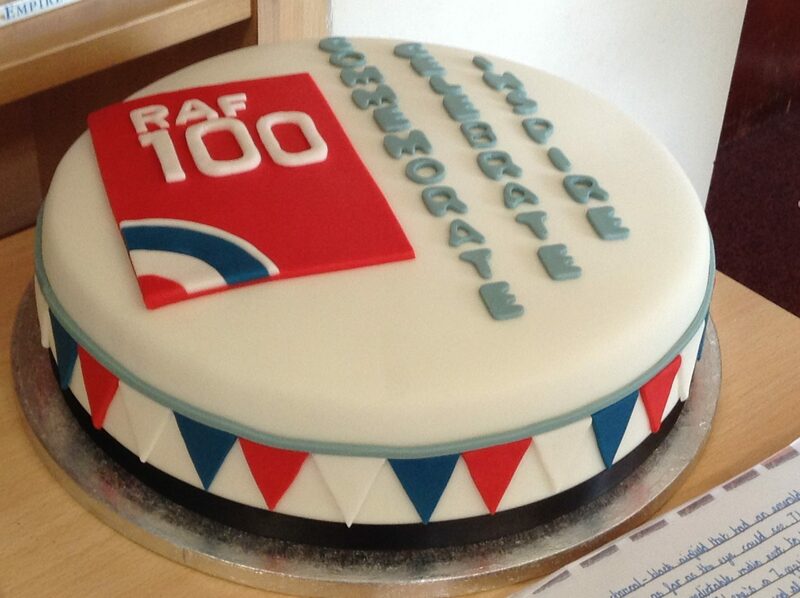 A special thank you to Mr Garlick for creating such an amazing cake.